The 131-foot M/Y Eleonora III is a sport hybrid yacht from Columbus Yachts, a Palumbo Group brand. Columbus Yachts, a brand of the Italian Palumbo Group S.p.A., will bring its M/Y Eleonora III — the first model of the 40-meter Sport Hybrid series — to the Nov. 3-7 Fort Lauderdale International Boat Show for her U.S. debut. The layout and style have been developed by the shipyard team, together with the interior design firm Hot Lab Yacht and Design and the 131-foot yacht’s owner. Marbles such as Breccia Sarda and Adria Venato are matched with Tay wood and dark oak for interior floors. 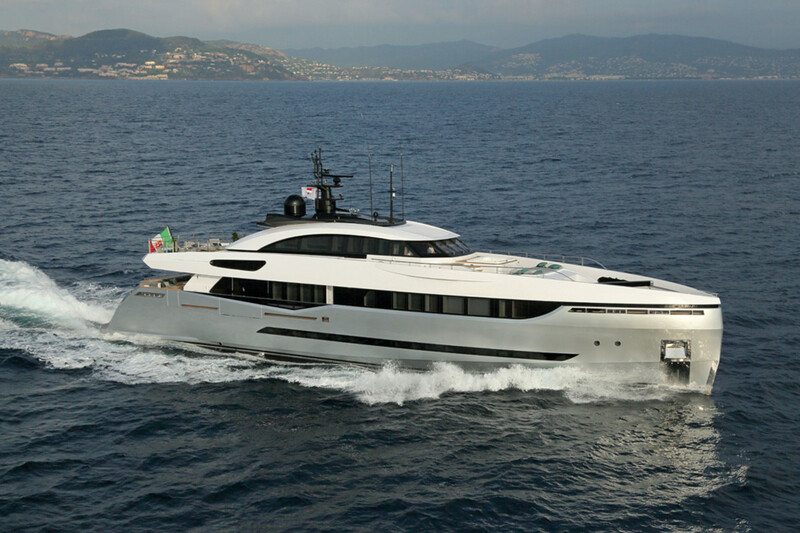 M/Y Eleonora III is a semidisplacement hull that was analyzed using CFD software and tank tests for use with light alloy construction. Naval architecture and exterior design come from the collaboration between Palumbo Group and Hydro Tec. Powered with an advanced hybrid propulsion, the performance range is between 3 and 20 knots. At the cruising speed of 15 knots the fuel consumption is 215 liters per hour for both engines.